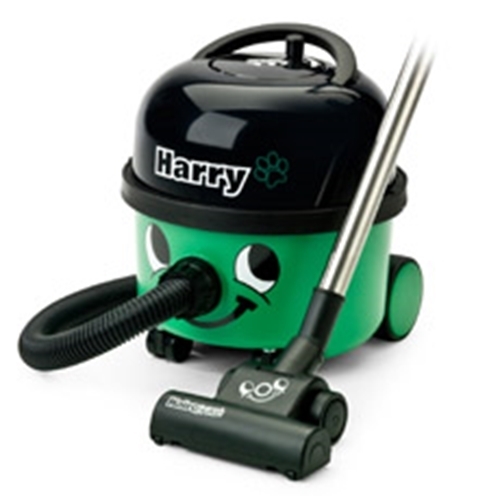 Harry the new member of the Henry and Hetty family, designed and incorporating important extra features for pet loving people. The AutoSave system means that every time you switch on you will automatically start on the economy setting, only if more power is needed to cope with extra dirt do you need to push the red switch to operate in the Hi mode. When you see the red light you know you are in the Hi mode so when you go onto hard floors, or deep carpets, or don't need maximum power, push the red switch again and you are back to economy. The unique Numatic dual purpose HairoBrush has been designed so that it can give excellent pick up performance both on the floor and, equally, as a hand brush for use on upholstery and fabrics.